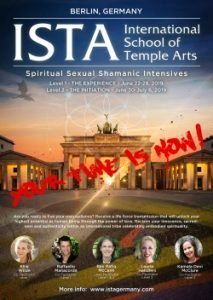 Spiritual, Sexual, Shamanic – Each of these areas carries enormous potential for freedom, love and joy, as well as for healing & integrating our golden and painful shadow aspects. As we come to know all these aspects, we begin to see what it means to be awake, empowered, in community, and in service as love in the world. The transformation is supported through multiple pathways using the best of the ancient temple arts including the wisdom of Tantra, Taoism, and different traditions of Shamanism, as well as modern day techniques. The inner masculine and inner feminine archetypes are explored because when they are fully integrated, a door opens to a deeper knowing of the Self as whole and complete. A team of skilled Temple Arts faculty will share, inspire, guide and support you to bring light to the shadows where your power awaits to be reclaimed. Love is your birthright. Love is your essential nature.